So far in our Good Food Kids series, we’ve given you three strategies for changing the food on your family’s plates, and we’ve told you what you can expect from your kids during that transition. Today, it’s time to get down to the nitty-gritty. Whole9’s own Robin Strathdee asked (and then answered) some of the most frequently asked questions about nurturing Good Food Kids. Note: all photos are from our friend Michele Tam at NomNomPaleo.com. Her site is a treasure trove of family-friendly recipes, so click on any photo when you’re done reading and see what Nom Nom has to offer your kiddos. What should my kid’s plate look like? For the most part, we think your kids’ plates should look like yours – some protein, plenty of fat, and lots of veggies. You can use our meal planning template as a jumping-off point, but don’t stress if your kids don’t seem to want eat according to plan. Offer plenty of good food at each meal, let them help decide what goes on their plates, and your kids will work it out in the end. Keep a mindful eye, but help your kids learn to trust their bodies when it comes to their food. Making mealtimes relaxed and social can help with teaching them to pay attention to their hunger and satiety cues. Model good mealtime behavior, eating slowly, chewing carefully, and doing so without outside distractions like phones, iPads, or television. 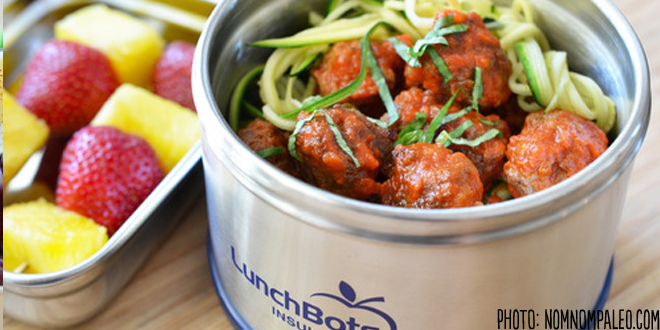 Any kid’s lunch is cooler when you serve it in Lunchbots stainless steel containers. Visit our special Whole30 link to score a 15% discount and free shipping on their nine most popular lunchtime container offerings! How much protein do my kids need? Can they eat too much? 4-6 years: 0.5g per lb. However, protein is one of nature’s most naturally self-regulating foods. Dense in satiety factors and nutrition, it’s really hard for anyone (even kids) to over-eat protein from real food. In addition, this information is not designed to encourage you to weigh, measure and track your children’s food intake. If you have specific concerns about their nutrient intake, keep track of a day or two to set a baseline, but don’t stress – kids who are fed Good Food will balance their own diets instinctively. Unless your kiddos have a kidney disease that affects their ability to process the nitrogen your body makes when it breaks down proteins, your kids couldn’t eat enough food to reach an undesirable protein level. You’re more likely to encounter a kid who doesn’t get enough protein – which is why it’s important to experiment with different cuts, cooking techniques, and preparation methods. 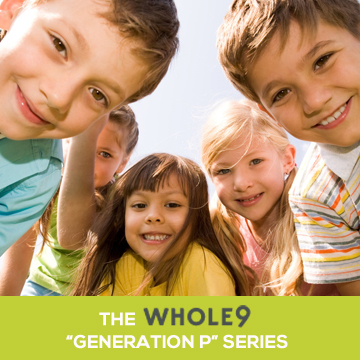 The Whole9 program emphasizes eating fat – is that good for my kids? It’s important to clarify here: We emphasize the consumption of healthy, high quality fats like coconut, olives, and avocado. We discourage the use of volatile, easily damaged fats like vegetable oils, or fats found in processed foods like french fries. That said, consumption of fats that make us healthier is essential for proper growth and function in children. Prepare your foods using our recommended cooking fats, and offer your kids healthy fats like avocado and coconut milk every day to ensure they get enough for proper growth and development. If I remove dairy from my kids’ diet, where will they get their calcium? Calcium is a key factor in building strong, healthy bones, but it’s important to remember that it’s not the only factor. Other vitamins and minerals play a big role in bone development, as do lifestyle choices like activity levels and stress. In addition, the calcium added to dairy products (and orange juice) is not in its most easily accessible form. We think you should look to other, naturally calcium-rich foods for your daily intake. Want the science? Check out our full article What About Calcium, which applies to you and your children! If my kids don’t eat whole grains, will they still get enough fiber? Many Americans believe that whole grains are the best source of fiber in their diets, and their misconceptions are reinforced by many nutritional agencies. Still, despite the emphasis on whole grains, current opinion is that many children get less than half of their recommended intake of fiber each day. The National Academy of Sciences Research Council recommends that children between the ages of 4 and 18 consume 25-38 grams of dietary fiber per day, based on their gender and age. The truth is that fruits, vegetables, nuts, and seeds are packed with fiber, plus vitamins, minerals, antioxidants, calcium, and gobs of other compounds that make you healthier. Fiber amounts are taken from this chart published by the Mayo Clinic. For a more detailed fiber comparisons between vegetables, fruit, and nuts vs. whole grains, see It Starts With Food. If we cut out milk, soda, and juice, what’s left for my kids to drink? We tackled this topic in a detailed article recently. Some kid-friendly hydration options: plain ol’ water, water infused with fruit for fun and flavor, sparkling mineral water, fruity herbal teas, kombucha (it has great probiotic properties, but start off slowly), and coconut milk (from a can, thinned with water if needed). Want more ideas? This was also a hot topic on our Whole30 forum . Follow the link to find out what they came up with: What Can I Drink? My little one still drinks milk. What can I replace that with? Once your kiddos are past the age where they need breast milk as their main source of nutrition, they can drink water (or anything else appropriate). However, we recognize that there’s a psychological connection there for your kiddo. For young ones, bottles or sippy cups (and the liquids contained therein) are often comfort items. Thinned down coconut milk (from a can, not the sweetened stuff in a milk-like carton) is a good option for parents and kids working through that phase. Homemade almond milk is also an option, but consumption of nuts (in any form) should be fairly moderate – and who has time to make your own almond milk? Note, rice milk or soy milk are not recommended healthy substitutes for cow’s milk. How much water should kids drink every day? Kids ages 1-8 should take in about 1.5 L (or 48 oz) per day. Kids ages 9-13 need between 2 and 2.5 L (64-96 oz) per day. Again, don’t stress about measuring their intake, but on hot days or especially active days, make sure they have the means to hydrate all day long (using a sippy cup, a non-plastic bottle, or another age-appropriate container). Note: Melissa and Dallas just bought a few of these Pura Kiki stainless steel bottles for their soon-to-be kiddo – they’re plastic-free, and convert to sippy cups when the infant is ready. My kid won’t eat (fill in the food group here). Can we still make this transition? “Kids at are continually exploring their autonomy, discovering that they are in control of their own minds and bodies and learning that we, as parents, cannot read their minds or move their bodies. These seemingly random exercises of will come and go and take some really interesting forms. I suggest a little experiment: Give him a week of no nagging, no forcing, no rules. If he eats fruits and veggies well, let him load up. Fill him full of whatever fats he’ll eat. Take the pressure off and don’t even address the issue. But, don’t take him to any restaurants either (In a more general sense, don’t make your kids alternative meals). He eats what you’ve cooked – protein or no….There’s a chance that, once he sees that you respect his autonomy, he’ll choose to partake with you. If he doesn’t, then you can start working through some other plans. At the very least, though, you’ll get some fight-free meals under your belt and it will help return the sanity we so very much need as parents. And remember to re-read this article to help you craft just the right strategy to transition your child. Are there any tricks to getting my kids to eat (and like!) vegetables? Absolutely! We’ve done the research, and created five ways science can help your kiddos eat their greens (and reds, oranges, and yellows, too). Read this Whole9 article for the best strategies, and feel free to mix-and-match. Should I let my kids have less healthy foods outside of my house (school, daycare, parties, etc)? That’s really up to you (and, in some cases, your kids). In my house, we base those decisions on what the food is/will be and how we know that food affects my kids. For example, High Fructose Corn Syrup transforms my children from relatively well-behaved humans to something akin to Damien from The Omen. I (obviously) recognize that and, at this point, my kids do too. My four year old says that “yucky sugar” makes her feel like she will never go to Disneyland again. So, HFCS is never an option for us. Gluten, on the other hand, doesn’t have too much impact on them in occasional, single serving doses. So, if I forget to bring a back up treat to a party, I know it’s okay if they have a cupcake. The bottom line – you have to make the healthiest, and most liveable choice you can for you and yours, and being too restrictive can lead to a backfire the likes of which will see your child cramming candy into her pie-hole at every available opportunity, even if it makes her feel awful. What should I do if my kids get accidentally “dosed” with less healthy food? First things first, unless there’s a significant sensitivity or an allergy involved, take a deep breath and calm down. It’s not that big of a deal. This is a great opportunity to open up the discussion about food, how it works in our body, and how it makes us feel. Time to revisit our A is for Awareness article, and talk to your kids about the experience and how their bodies feel. Remind them that some foods are more healthy (anytime) choices and some foods are less healthy (sometimes or never) choices. If the “dosing” happened when you weren’t present, take that opportunity to inform or remind your caregiver (teacher, neighbor, grandparent, etc.) of your family’s food boundaries. Be polite. Offer to bring in alternatives for your kids, if that will work for you. What are some simple foods I can pack my kids for snack or lunch at school or daycare? My default combination is protein, fruit, veggie (and sometimes a condiment, like a dipping sauce). It really doesn’t have to be more complicated than that. 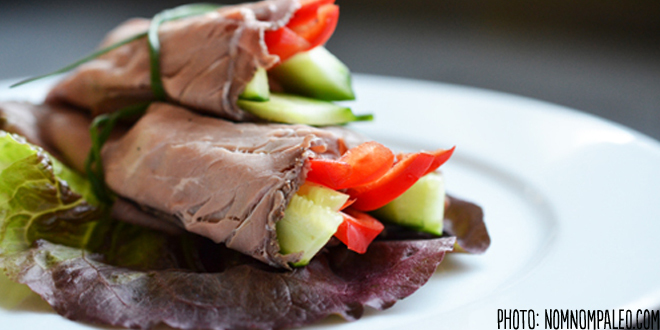 For a closer look at the lunches of some pretty well-fed kids, check out Nom Nom Paleo’s Week of School Lunches and Primal Bliss’ Month of Real Food School Lunches. Have a question you don’t see here? Ask us in comments below! My son will be 15 months on March 25, he weighs about 22 pounds. According to the numbers above he should be eating around 12g of protein. I know the numbers are just guidelines :) I’ve never weighed/measured his food but just by approximating it, he seems to be eating quite a bit more than that. Typically he eats 2 eggs at breakfast, and a palm size amount of animal protein at lunch and supper. I’m curious if you would recommend cutting back on the protein- just one egg at breakfast or smaller servings at the other meals- and increasing fat/fruit/vegetables? I will say the boy LOVES his food! I can’t tell you how many times I’ve had people comment about what a good eater he is. And between meals he is very happy and content- no blood sugar crashes resulting in melt downs. He has very peaceful meal times, long and easy nap times, and energetic yet calm and focused playtimes. I do think he is naturally a very content little guy, but I also think a lot can be contributed to the way we’ve been able to feed him thanks to this blog and It Starts With Food. I wouldn’t cut his protein unless there’s a specific health reason to do so. As we said above, it’s really hard difficult to over-eat protein, especially when paired with other healthy foods. Congrats to you on raising a good food kid! My kids (ages 13 and 11) were both willing to try the whole30 and we made the decision to jump into the paleo lifestyle as a family. I thought it was important for them to feel like they had a voice but also to educate them as to why it was important for us to do this. We’re on day 21 and they are doing great. My daughter’s biggest complaints are giving up dairy and sugar. Gosh she loves sweets. It doesn’t help that the teachers had out candy.. Sigh. I told her when we complete the whole30 I’ll make a weekly dessert that is paleo friendly. I also bought an ice cream maker which she was happy about. She doesn’t care for almond milk or coconut milk to drink though and misses yogurt as well. My son, who NEVER was a veggie eater has totally embraced it and is doing awesome. He misses rice but does really enjoy “cauliflower” riced and we’ve discovered spaghetti squash. My husband is doing pretty good but gets hungry at night.. He was having that issue before though and I fear he’s trained himself to night-eat. I make my kids bento style lunches for school. It’s defiantly more of a challenge now that we’re paleo (and on the whole30) but they are cute, fun and the kids love them. Love those containers Nom Nom recommended above, I will have to check them out (her ipad app is awesome btw). I have a question about the coconut milk recommendation. You say use the stuff in a ‘can’ not in the containers like milk because they are sweetened. But what about the ones that say ‘unsweetened’? Is that ok? They are just way easier for me…. @Adam, All of the kinds in the refrigerated section or in the shelf stable aseptic cartons have all kinds of additives, i.e. lecithins, carrageenan, etc. Believe me I have looked at all of them. Adam – Audry beat me to it! :) The cartoned stuff almost invariably comes with tons of additives that you wouldn’t want to give your kiddos. 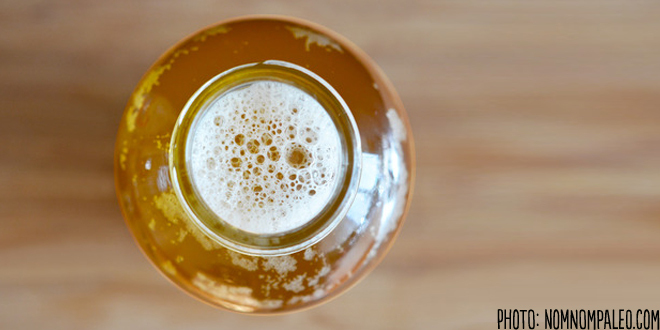 If it’s the texture that’s convenient, try grabbing a reusable jug for the fridge. Then you can add the canned stuff and dilute as desired. I am on my eight day of my first Whole30 and thinking of switching my family over to it. My biggest concern is my oldest daughter who is 6 and a self proclaimed non meat eater since age 3.5 when she linked the turkey on the thsnksgiving table to a live one at a farm. She has not eaten meat since and most of the meals she and her two younger sisters eat are centered around a pasta with fruit and veggies on the side. Any tips on how to help get her over the hump of refusing meat. Ashey – in cases like this, in my opinion, it’s best to take some of the pressure off. Remove the foods you’re not comfortable with her eating, offer plenty of the food you want her to eat, sneak protein (eggs and anything else she’ll eat) in where you can. Oftentimes, removing the pressure of expectation (or the clash of wills) will do the trick. Chances are, if everyone else is eating and enjoying the food, her horizons will begin to expand out of curiosity (and a little bit of hunger). My children eat very well. It’s easy to feed them whole foods at home and I’m glad they like them. We started early and I am pretty strict so it seams like the norm in our house. However Kindergarten this year has really affected us. My 5 year old tells me about all the foods the other kids bring – I am amazed at what is in kids lunches. It’s hard for her to resist that stuff. I try to make comparable foods that are as close to my comfort zone as possible but still may feel a little like a fruit roll up, etc. She is longing for food like her friends. It’s hard to see her feel this way. We talk a lot about why we eat the way we do. I think sometimes kids might just think that the consequences don’t outweigh the joy of junk food. I have given up on milk. Every kid there takes a milk and we tried to do the complete whole 30 in January but my daughter ended up taking it – sometimes forgetting and sometimes she really wanted it…then felt so guilty…but that didn’t stop her. She never asks for milk at home and after a week of vacation with no milk she didn’t even know it wasn’t there. It’s the need to fit in that’s hurting us. If it was something like drugs then there is a societal stigma against that – but when it’s food like bread and milk that most people feel is good for you – the battle is easily lost. At the school social events there is junk food, at every play date, extra activity – even her occupational therapist gives out candy after an appointment (but not to my kids). It makes me so mad that it is so hard to feed my kids good food. I am not preachy about it – I just want to quietly exist in a healthy lifestyle but I am even feeling like we don’t fit in. We don’t attend some events like donuts with mom in the morning before school. How can I give my child a donuts before school? Especially when she actually enjoys a veggie frittata. She needs to work a little harder than other kids to learn so I feel even more diligent about good food. Then there are grandparents too. I think the biggest challenge is not getting kids to like veggies – yes it might be hard but patience and diligence will pay off. I think it’s the social pressures. Let kids be kids, we did it and are fine, etc. And again like I mentioned before – keeping kids away from food that many people think is healthy is hard. Then there is the – everything in moderation. But what is the right amount? When we “go there” it is so much easier to keep doing it. It’s hard for kids to understand once in awhile. If we say it’s not good for us but give it to them sometimes it can get confusing. My 3 y/o is always asking – mom does this have wheat in it? She learned that the pancakes her grandfather gave her the other day had wheat in it (she asked me) and I said it’s ok once in awhile (what could I say?) – but she looked devastated but also liked it! Am I damaging my kids? I can relate to your daughter for sure. My mum always packed me tasty, healthy (though of the traditional kind) lunches for school and I loved what was in them, while the rest of class would be eating lunchmates, packages of dried ramen noodles, and dunkaroo cookies. I didn’t really want to eat that stuff but it was very attractive just because then I’d be like everyone else. Eventually I figured out that this was a pretty stupid reason to be eating things I didn’t like (plus, my mum refused to buy any of it anyways) and I think it served me well in standing up to social pressures as I got older. In short, I survived and my sister did, too. That being said, I think it’s important for anyone (kid or adult) to realize that you shouldn’t feel guilty for having the occasional treat (as long as it is, in fact, occasional). I would argue that feeling guilty for every ‘bad’ thing you put in your mouth is probably more damaging than just enjoying the small treat once in a while and then making sure you eat well the rest of the time. Moderation and trade-offs are just as important concepts to learn as what foods are healthy/not healthy! I’m not a parent but as someone who is very conscious of what I eat: Yes, it is probably okay to have a pancake or a milk maybe once or twice a month, just not everyday or every other day. When you do decide to have that treat, though, make sure you really enjoy every little bit of it! Our kids are 11, 7, and 5. Everything you wrote above is the life we have been living for the past 60 days. Your words could have been coming right out of my mouth you are so accurately describing our school and social experience and basically every time we leave our home every single day. I believe in this method of eating and am creating it for my family but mental gymnastics are a huge effort at times. Thank you for sharing your experience, you helped me. 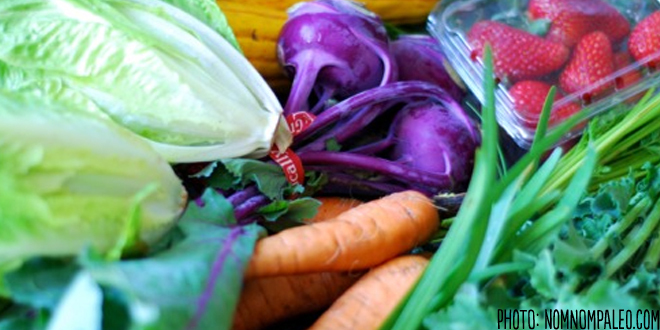 I’m right with you – by far the biggest challenge we face is Other People’s Food. It can be really challenging to find the line where your children’s health/your comfort zone takes precedence over the social situation. In my opinion, the most important thing in those situations – for your kids sanity, for your own decision making, and for those who may be providing food – is consistency. Whatever you choose, be firm in your choice and be willing to take steps to make that easier on everyone else, too (providing your own food, leaving a list of ok/not ok items at school, etc.) Your kids, and those who are feeding them, will soon come to learn and respect those boundaries if you set the example. The way I see it, with 12 years cooking experience, I think I can do something really nice to make any food attractive to anyone…no worries there. Many thanks. Appears seeking this info. Excellent information I am going to visit regarding more knowledge about Paleo Eating plan. I was suggested this website via my cousin. I’m no longer sure whether or not this publish is written by him as nobody else realize such specified about my problem. You are amazing! Thank you! My son has a ton of food allergies. The biggest challenge for this diet is the nuts. He is allergic to all tree nuts, (as well as peanuts which are not a nut). We give him sunflower butter, which he loves. However, the recipies for some baked goods have almond flour or other nuts in them. Is ther any other alternative? He is allergic to rice, oat,corn and soy, so those are easy avoidance items. My kids just LOVE kombucha!!! Having bottled ones are just great!